The time has come to reflect on another amazing year, and as I’m trying to remember what happened in January, the only thing that is coming to mind is that WE’RE HAVING A BABY, making the last part of 2014 super exciting and clearly outweighing the rest of the year. Suddenly our lives prior to finding out I am pregnant seem more boring than ever. The year started out as one of the coldest ones in 50 years or something ridiculous like that. Lucky for me, I was scheduled to be in the southern hemisphere for work during some of the cold snaps, so that was really perfectly planned. Peter had to stay home and shovel the snow… But he survived and is fine. 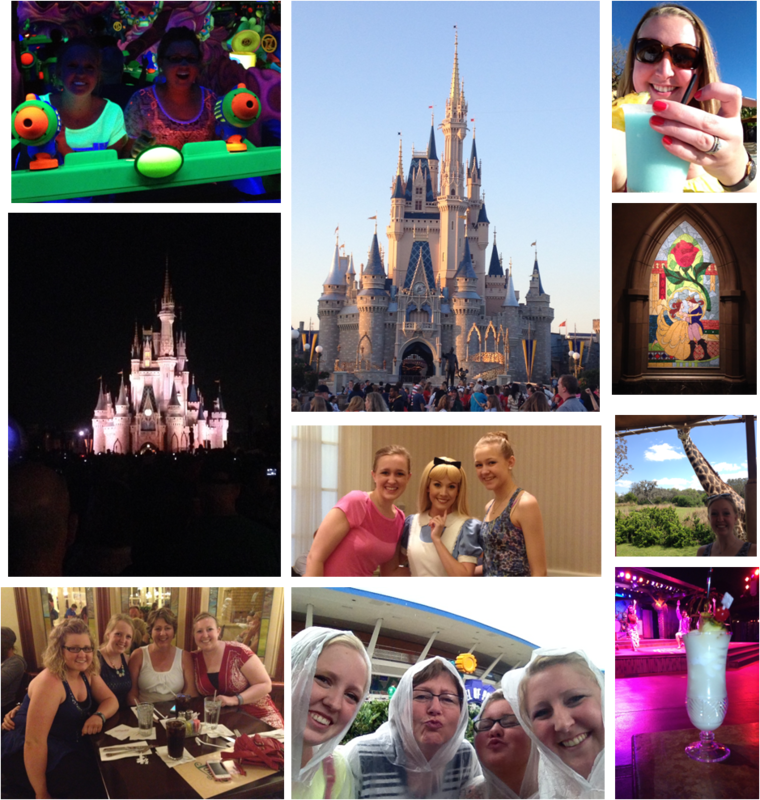 In March I went on a mom/sister trip to Disney World to celebrate Taylor’s 21st birthday. It was so fun and wonderful and WE LOVE DISNEY. Peter went with his dad to California, so everything was fair. Fairness is really important when fun trips are involved because I have horrible travel envy we like to make sure that we both have equal fun opportunities. At the end of April, we celebrated our second anniversary by spending the weekend in Madison. It was so wonderful and fun that I didn’t take any pictures. I had a REALLY bad cold that weekend though, so my NyQuil and Advil Cold and Sinus intake made for a really romantic weekend. Summer came really quickly, and with that I celebrated my GOLDEN birthday, which fell on a Friday and for the first time in two years I was not traveling for work, so I took the day off and it was just SPLENDID. 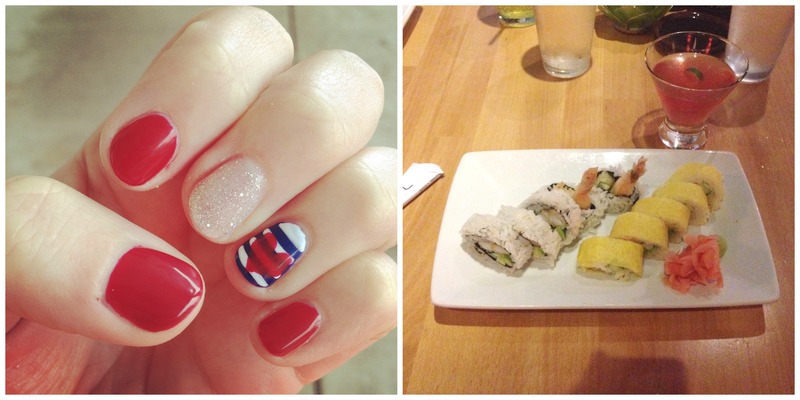 Pete treated me to sushi and a cosmo for lunch, and then I went and got an “I LOVE AMERICA” manicure. Seriously, best decision ever and I will be doing it every year for the rest of eternity. 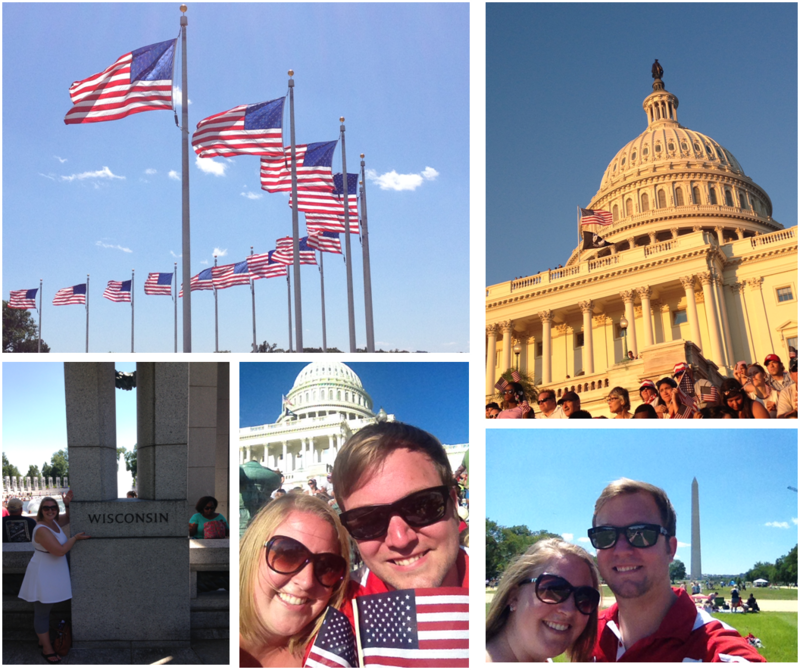 For my birthday, Peter and I took a vacation to Washington, D.C. and it was SO FUN. I made a new rule in the Romenesko house that on your golden birthday, you get to choose a vacation. I think it’s a great idea; Peter is bitter because he already had his golden birthday 10 years ago. When he asked what our child would do if their golden birthday was when they were 1 or 2, I said that their mom would choose a trip on their behalf. Again, I thought it was a fabulous idea; Peter was less enthused. Anyways, we went over the Fourth of July and seriously, I cannot tell you how much I loved it. 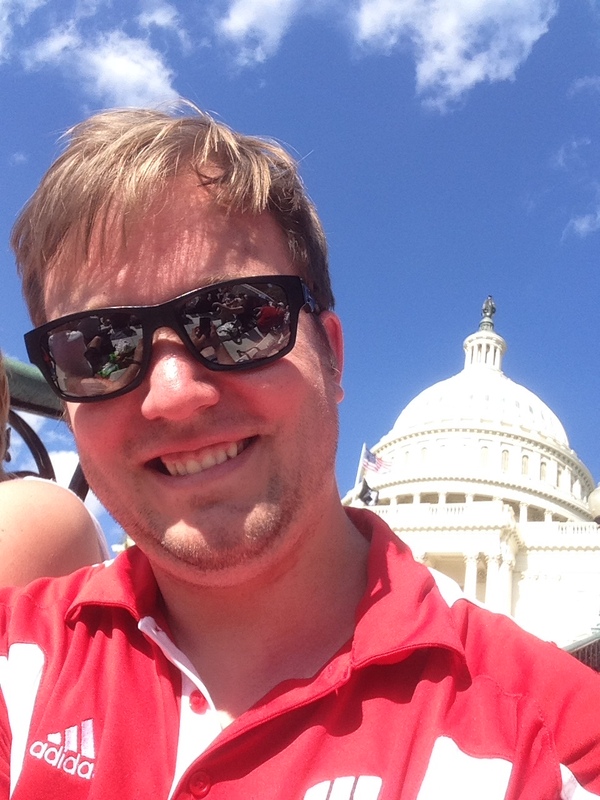 I had never been to D.C. before, so I was thrilled to go, especially over the Fourth of July, because I LOVE AMERICA so it was the perfect place to spend the holiday. We called the trip our “vacation of selfies” because every picture that we have of the two of us from D.C. is a selfie. Oh well! I was feeling very American on the Fourth of July with my Starbucks and “I Love America” manicure. On the Fourth, we sat on the Capitol steps with tens of thousands of other people and watched a fabulous concert called “A Capitol Fourth” that Tom Bergeron hosted. We also watched the Fourth of July parade which unfortunately was underwhelming. On the Fourth of July we walked over 10 miles, and to say that I could hardly walk the next day is a sore understatement. I made a poor shoe decision. And I just love this picture of Peter. Over the summer, Peter got some new responsibilities at work. Part of those responsibilities include traveling internationally. In July, we were home at the same time for a total of about 8 days, but they say distance makes the heart grow fonder. Needless to say, we’ve grown quite fond of each other. With all of his travels, you’d think that I would be better at staying at home by myself. Nope. Fall came, and with that, FINDING OUT WE ARE HAVING A BABY. The season was consumed with thoughts of our new addition: waiting for the first doctor’s appointment, slowly telling family and friends, and starting to make decisions about colors for the baby’s room (VERY important). And now it’s December and my favorite time of the year. We find ourselves thanking God more and more for each other, our families, our friends, and our health. 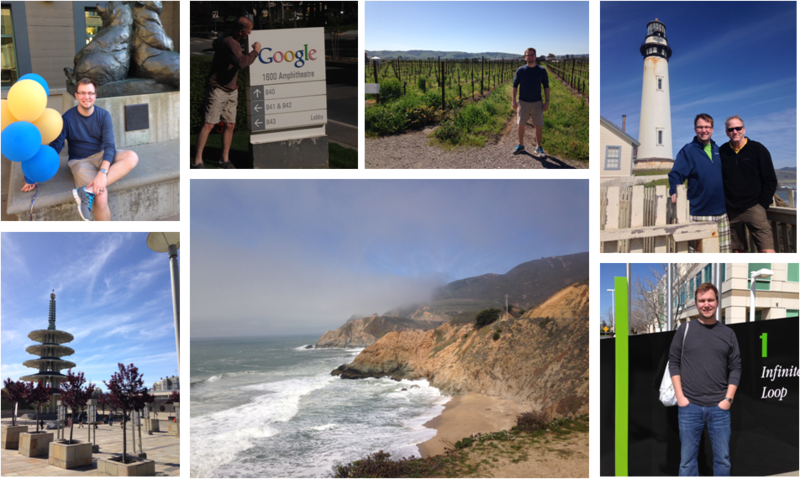 2014 was a pretty good one! When we were reflecting on 2014, we were saying to each other that the year was actually kind of uneventful. I have a really good feeling that all that’s going to change in 2015.